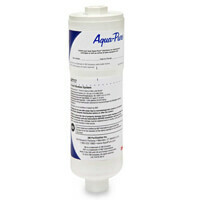 Aqua-Pure offers an array of Water Filtration and treatment products. They are the first choice of quality conscious plumbing professionals and contractors around the world. A water filter removes impurities from water by means of a fine physical barrier, chemical process, or biological process. Water filters reduce contaminants by either physically blocking their passage through a filter media, chemically attracting them to the filter media, or through means of ultraviolet light. They can be encased in a plastic or stainless steel housing. 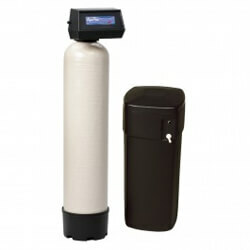 Since water filters become less effective over time, periodic replacement of the filter is recommended. Whole House System Plastic Water Filters: Whole house systems filter water at the entry point of a home. Once in place, these systems filter all water that enters the household. 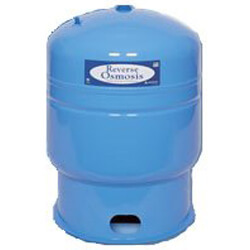 Whole house water filters provide longer lasting appliances. In-Line Filtration Hot Water System Filters: In-line filtration filters are used in appliances with ice and water dispensers. 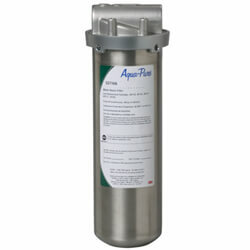 Aqua-Pure filters reduce sediment, rust, chlorine taste, odor, and scale. They can also be used for drinking fountains, coffee machines, and drink dispensers. 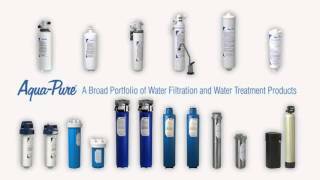 Water Treatment Systems: Water treatment systems are installed at the entry point of a home. These systems require electricity and a connection to the home's drain system. A water treatment system protects a home's plumbing system and appliances by reducing hardness and scaling. 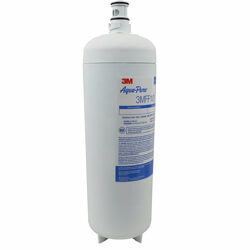 These filters reduce acid, arsenic, iron, sulfur, and tannin in a plumbing system. Drinking Water System Filters: Drinking water filters install under your sink to deliver cleaner, clearer water straight from the tap. They provide filtered water on demand for drinking, cooking, and cleaning. Ultraviolet Light Filters: Ultraviolet light filters can be installed at the entry point of a home or in a point-of-use application. These unique filters sterilize bacteria and viruses by exposing them to ultraviolet light. This is a positive alternative to using environmentally harmful chemicals. 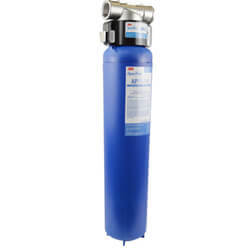 We offer a wide selection of Aqua-Pure and Honeywell-Braukmann water filters for residential or commercial applications.